Ragdoll standard & How we want it to look like in the future? 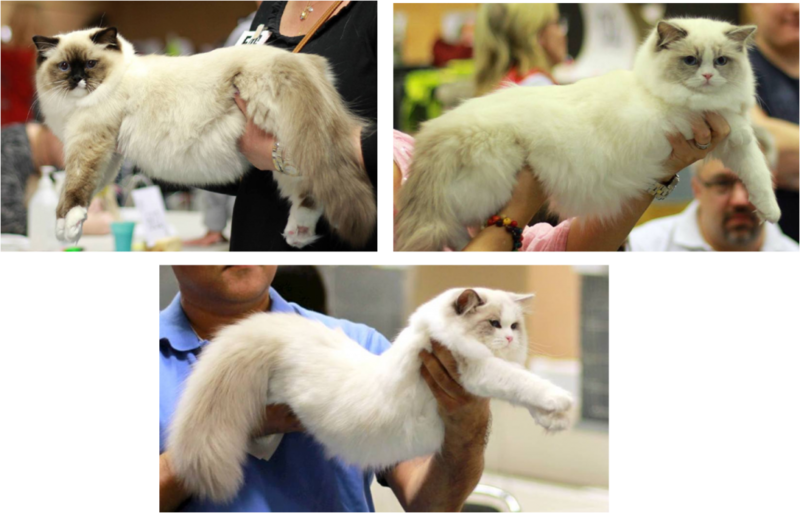 During 2018 two ragdoll seminars were organized by SRC. 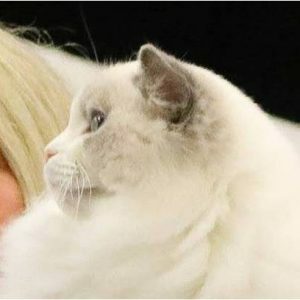 The seminars were held by Åsa Carnbrand and Christine Landin, and they are olso the ones who produced all the material that were discussed during the days. Presented here is a summary made by Åsa of the lectures for you who could not participate or for those who would like to refresh your memories. 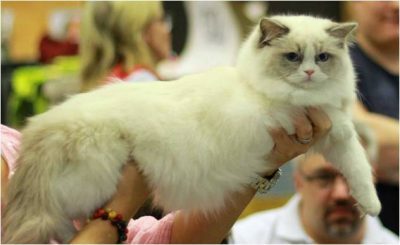 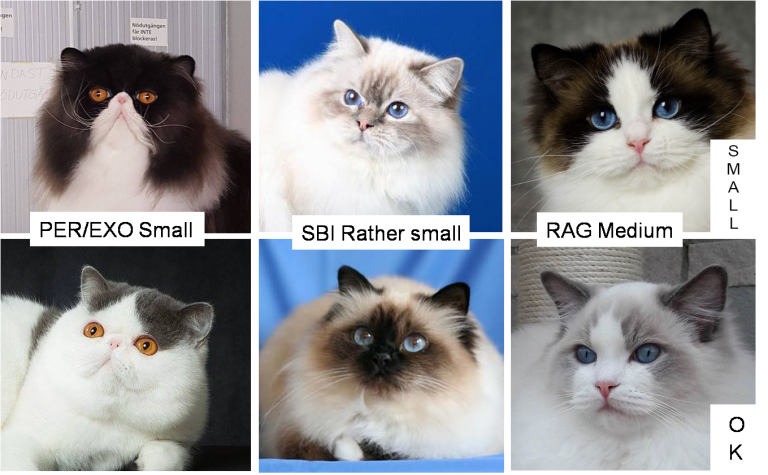 As we have different types of Ragdoll, we have also different categories of judges, which thus gives priority to different kind of cats. 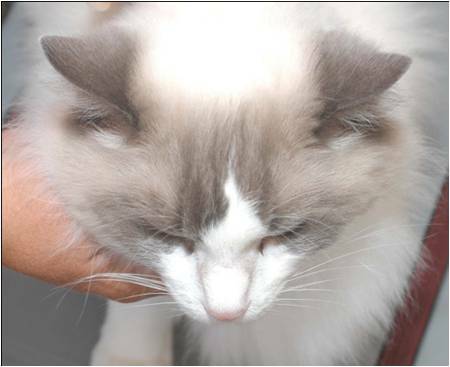 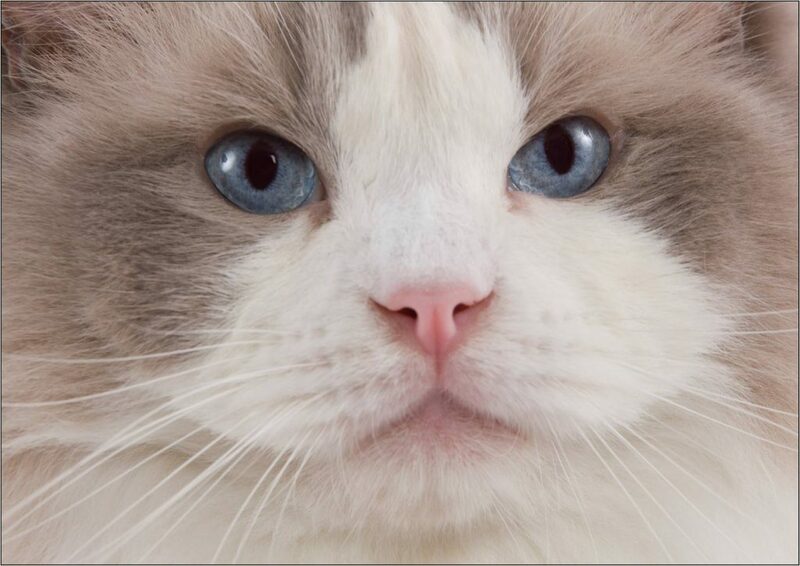 We also have breeders and ragdoll owners who think different when it comes to the choice of the ragdoll type. 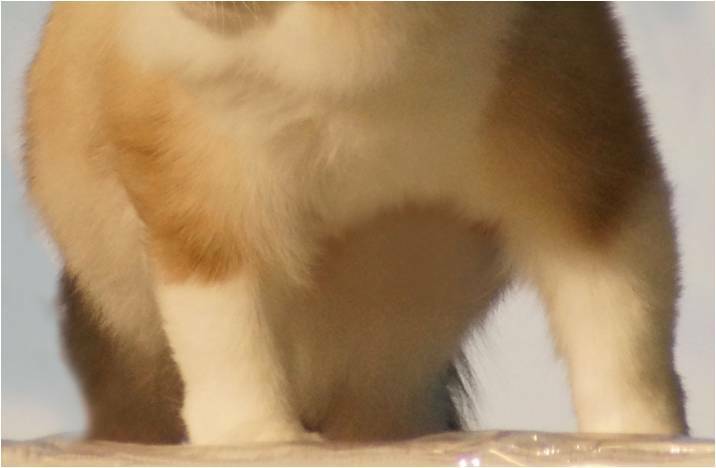 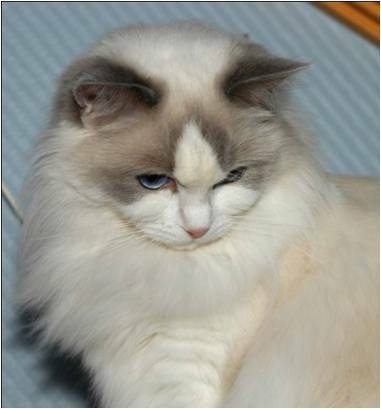 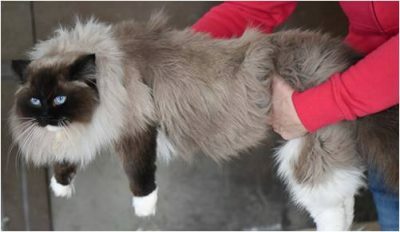 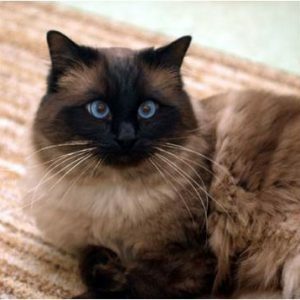 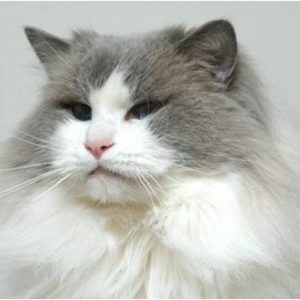 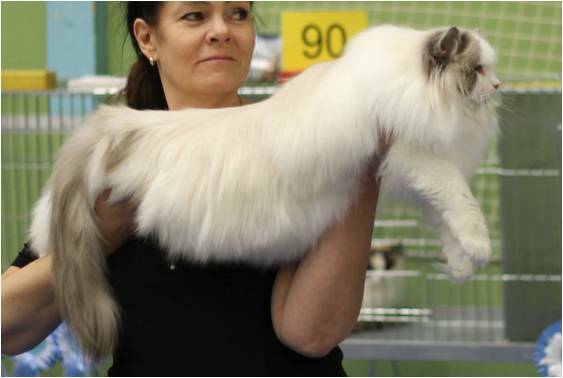 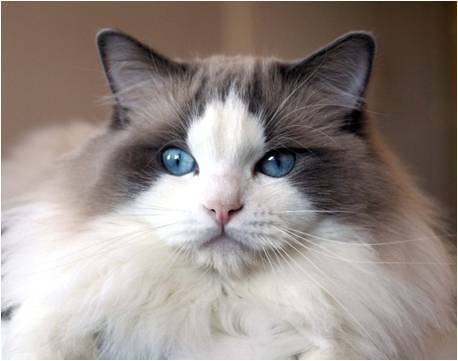 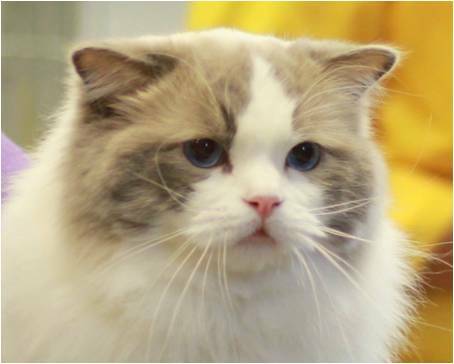 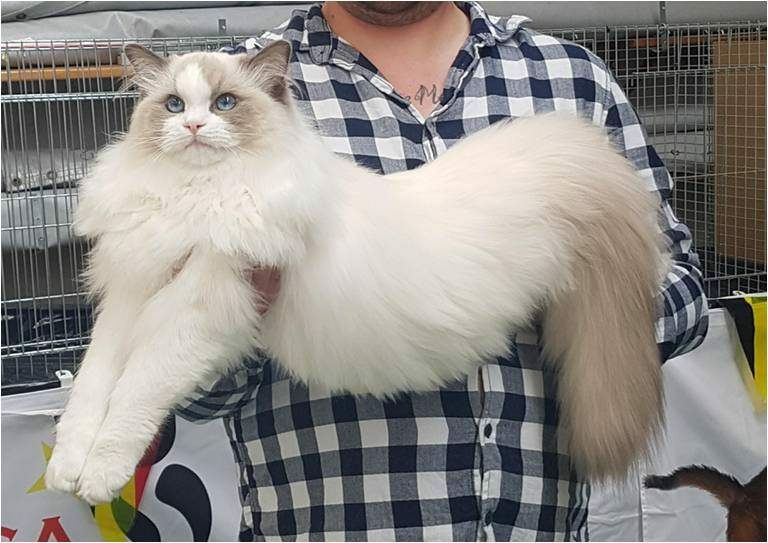 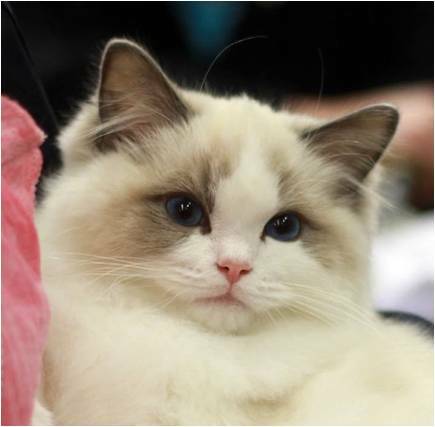 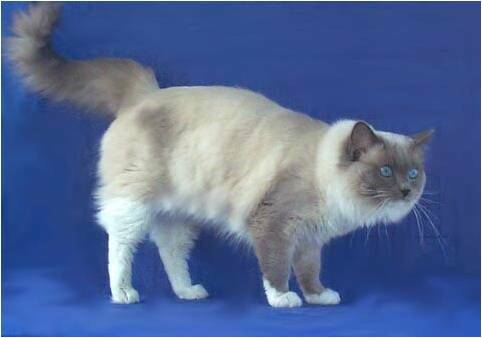 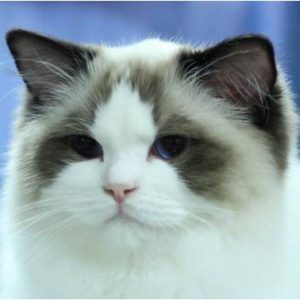 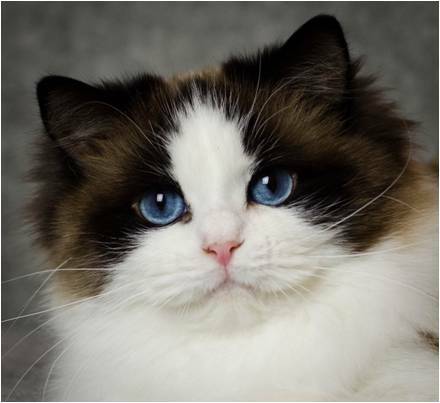 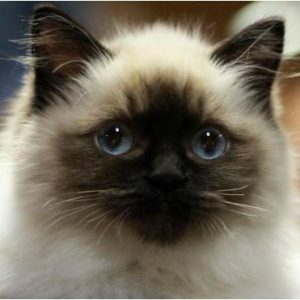 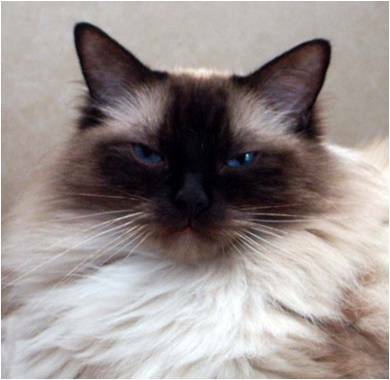 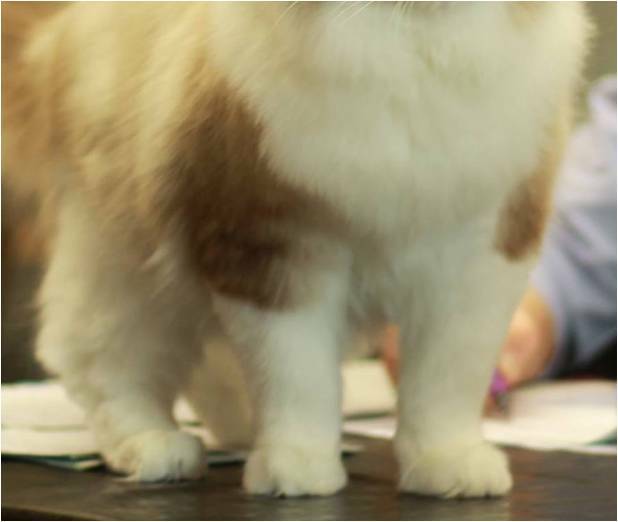 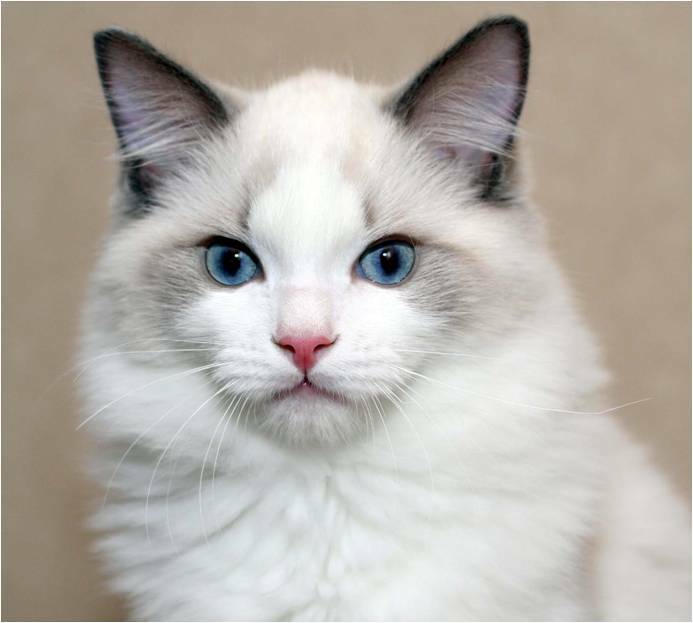 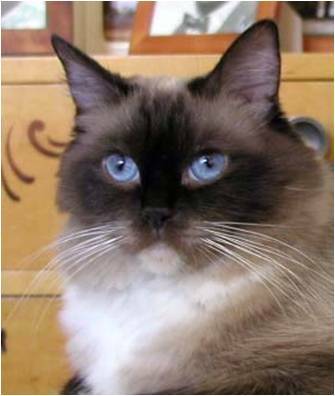 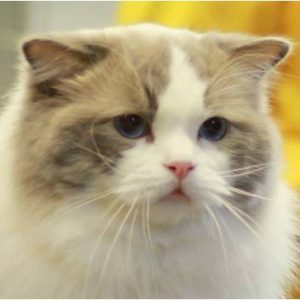 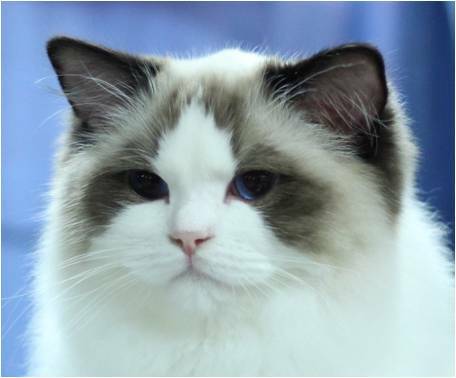 The ragdoll breed’s standard allows a part of own interpretation, which is why the final say in the choice of a winner cat on the show, usually the ”type” d v s head-shape and body type. 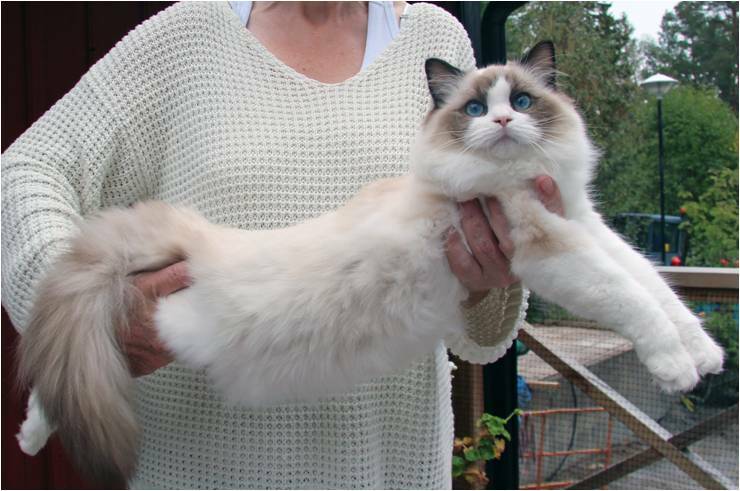 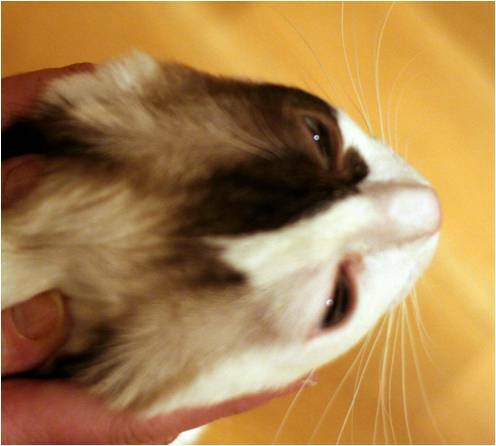 Regardless of what’s selected, you should never have to doubt that it is a Ragdoll you see. 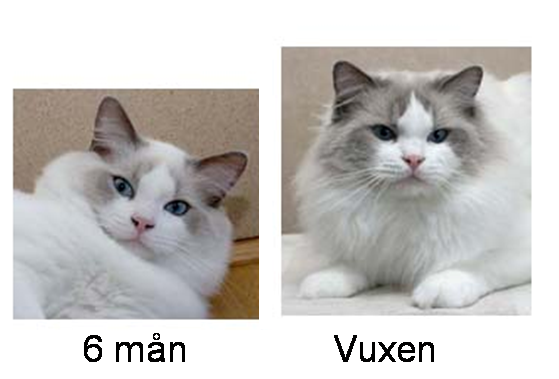 Presented below are young cats with different types and expressions. 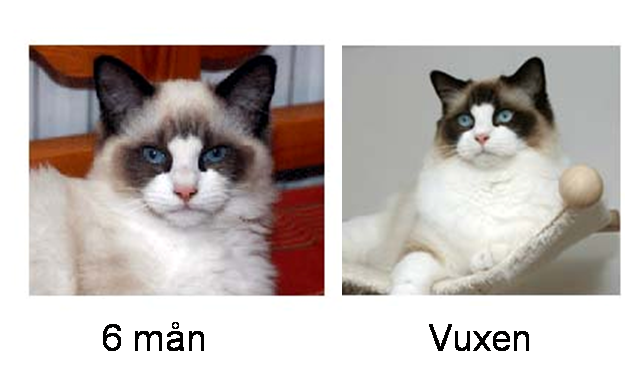 The female on the first picture have a good and harmonius expression for a kitten. 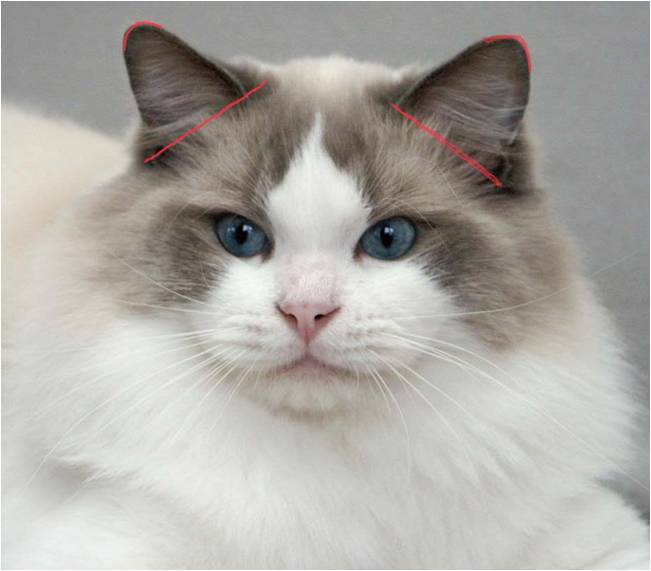 Presented below are five cats with harmonius expression, good type, ears of medium size and a flat plane between the ears. 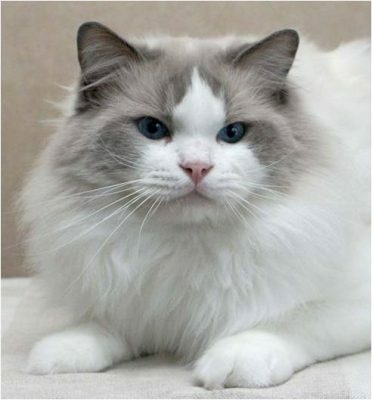 The cat on the last picture have an inharmonious, overbuilt forhead, rounded top and small ears instead. 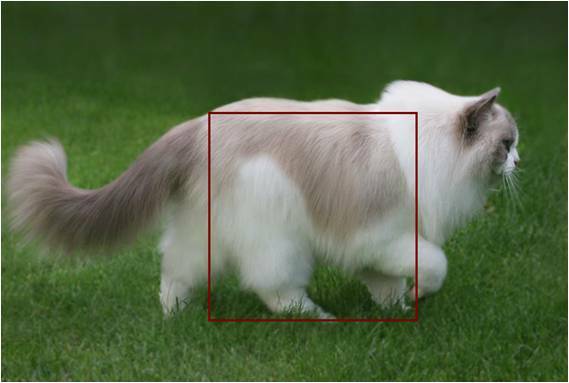 The distribution of points in the ragdoll standard is listed in the table below, and will be show by green text later in the presentation. 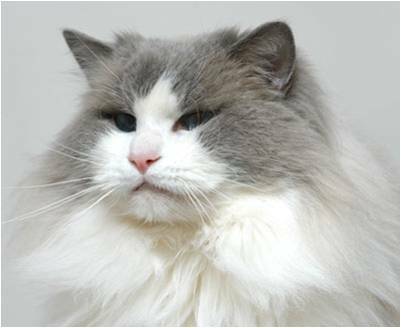 In 2011 the fault list was removed because the faults were only direct opposites to the words in the standard. 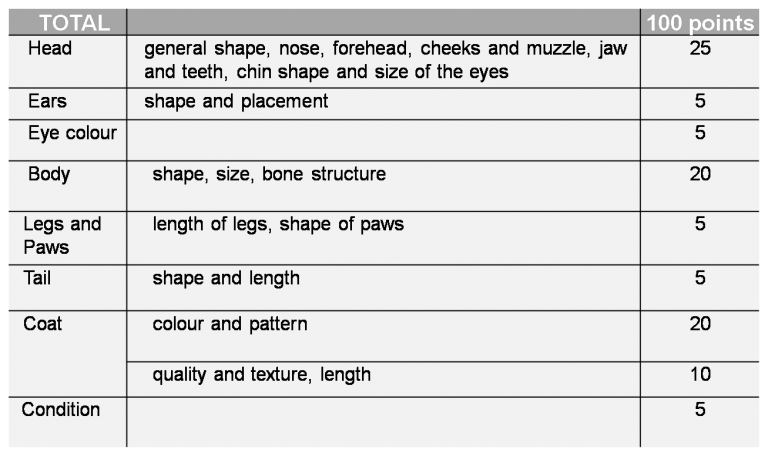 If the standard says ”Ears medium in size” then ”large or small” is automatically a fault. 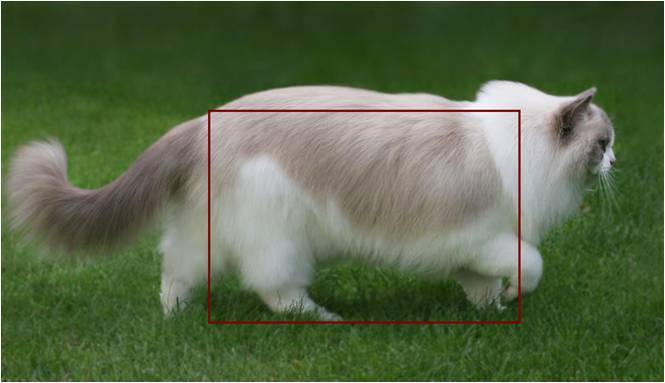 The previous faults are marked with red later in the presentation. 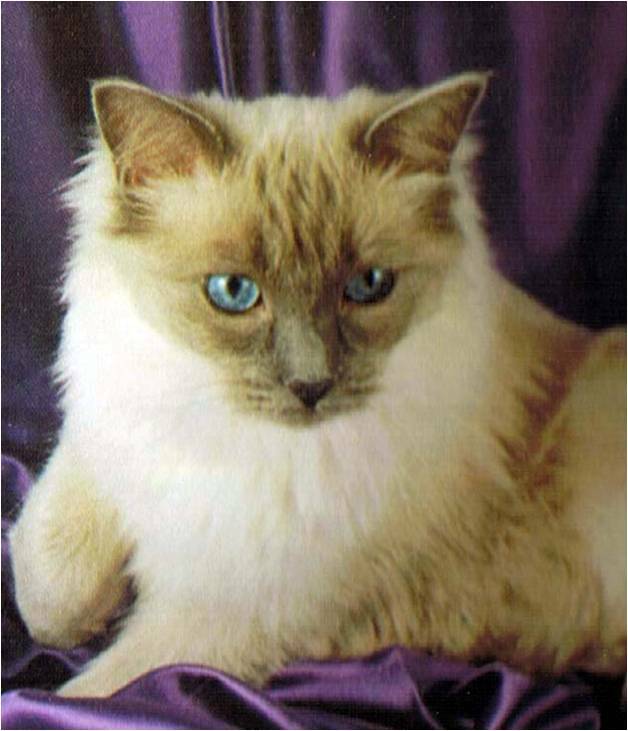 The book The Definitive Guide to Ragdolls are written by the founders of the breed. 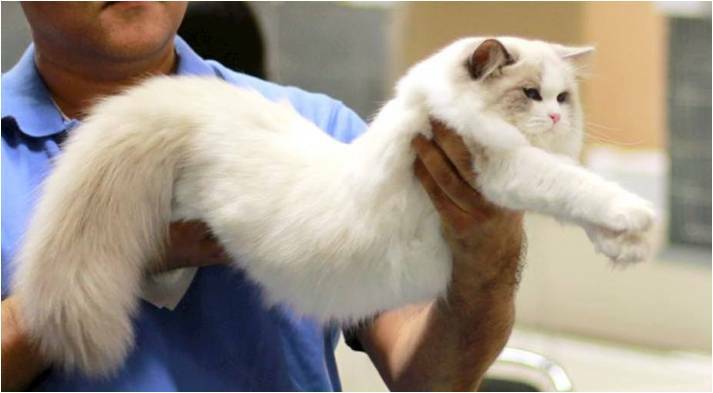 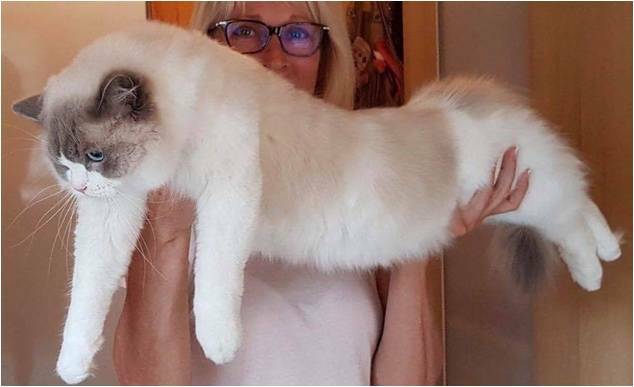 The book repeatedly use words like ”huge size” and ”floppy cat” to describe the ragdoll. 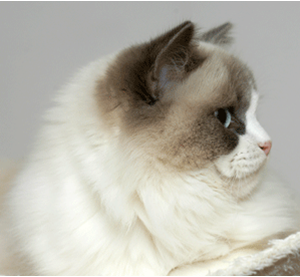 The width of the cheeks have a big importance for the expression. 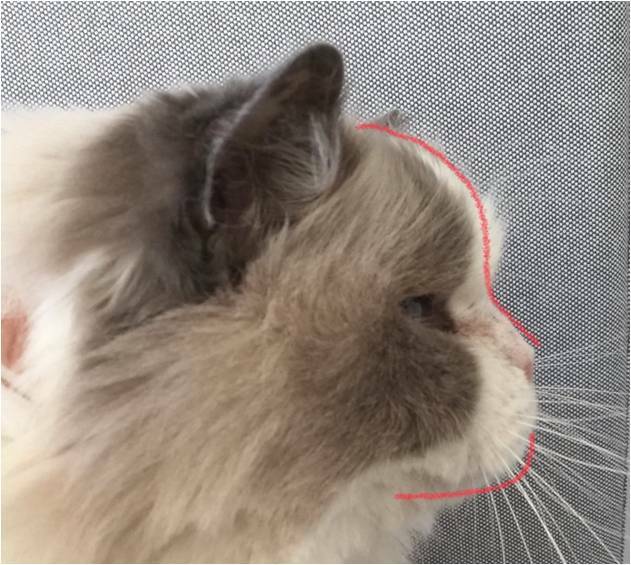 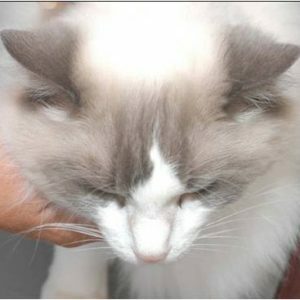 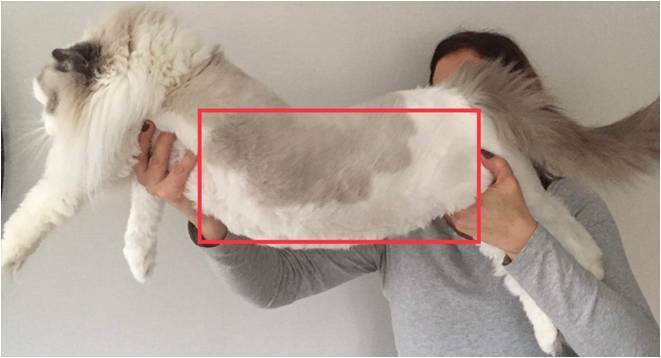 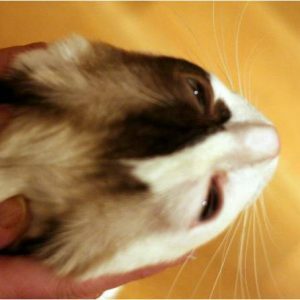 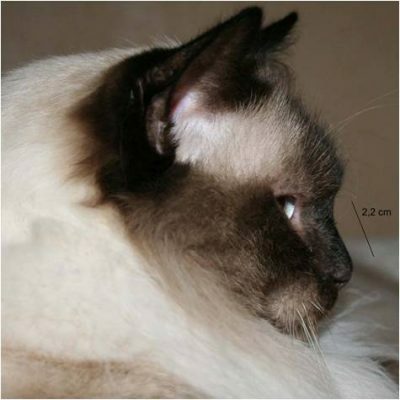 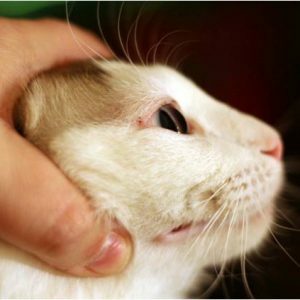 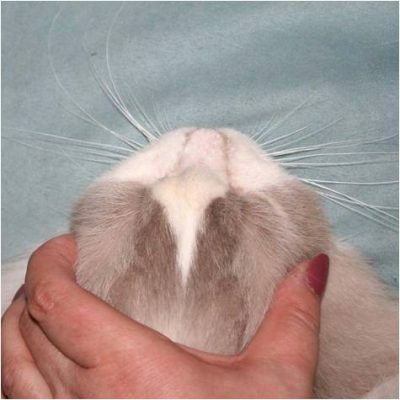 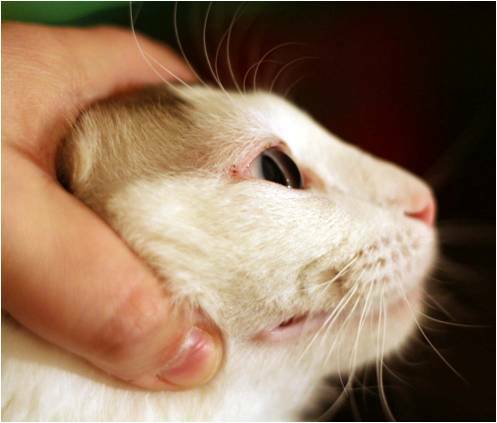 Sometimes it is said that the nose of the ragdoll is getting shorter, but more often that cat does just have more broadness in the cheeks. 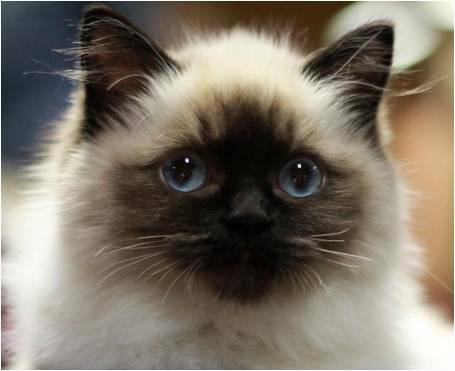 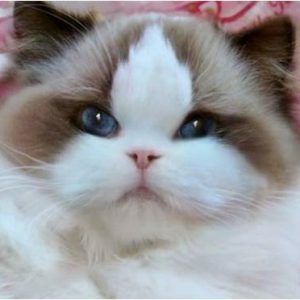 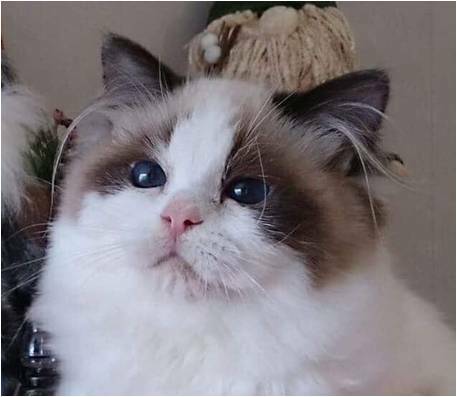 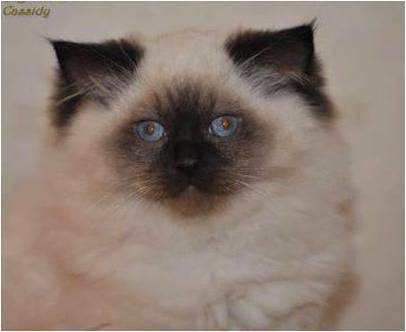 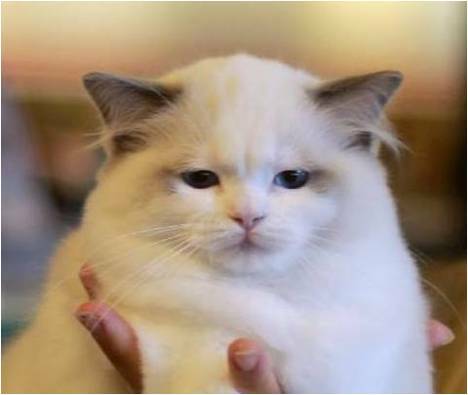 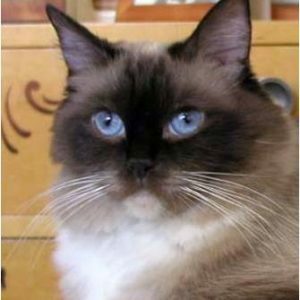 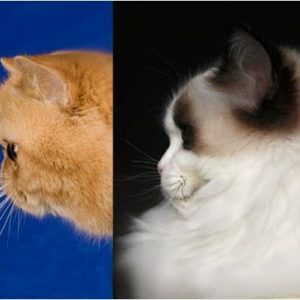 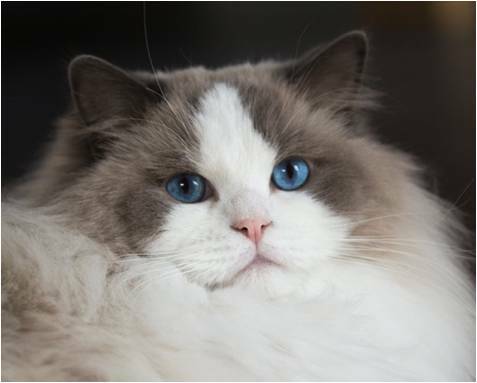 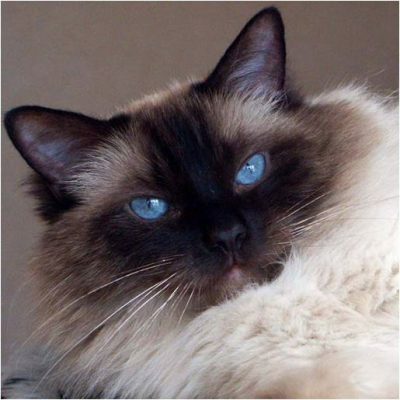 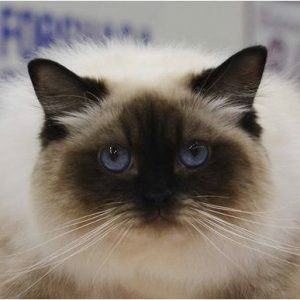 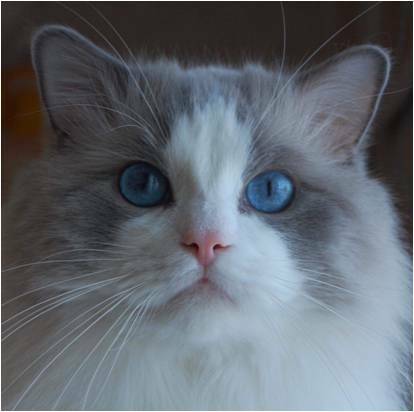 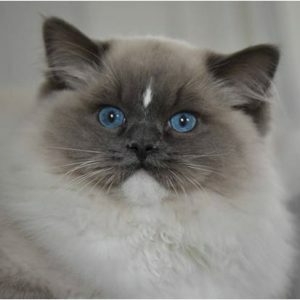 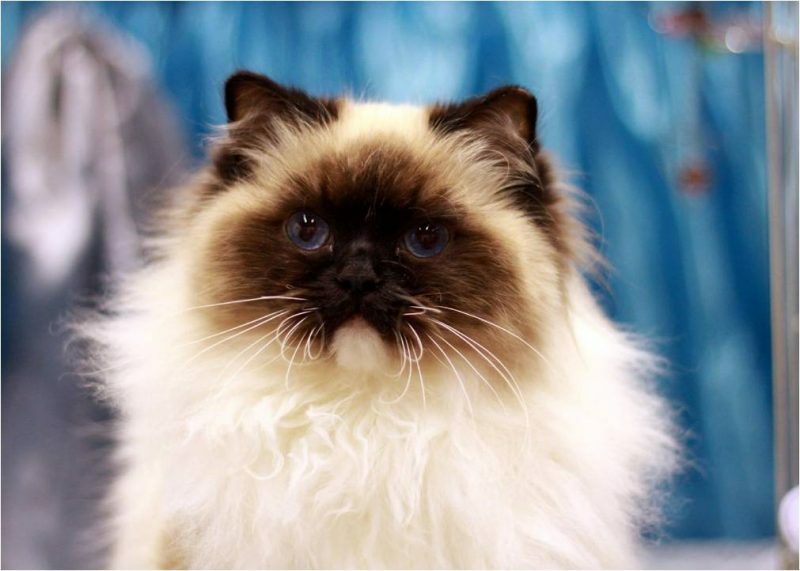 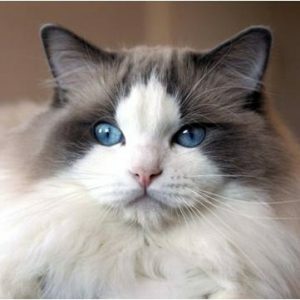 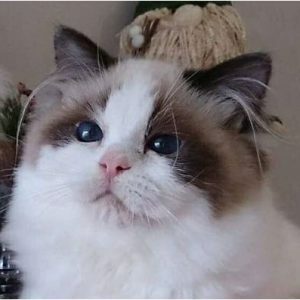 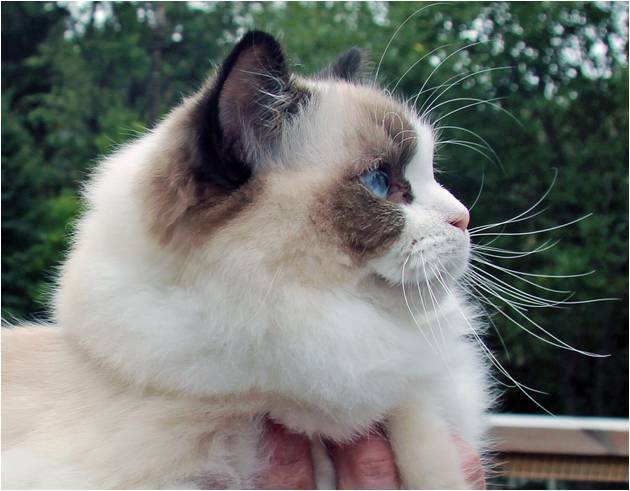 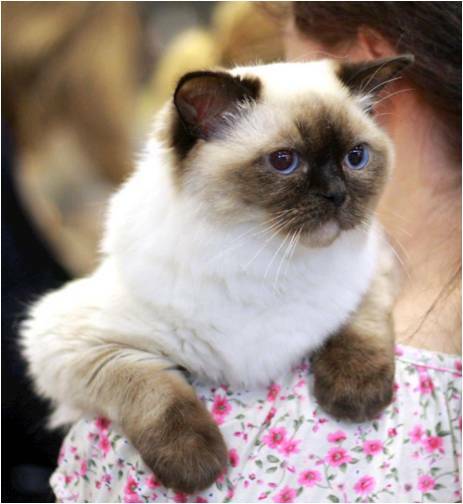 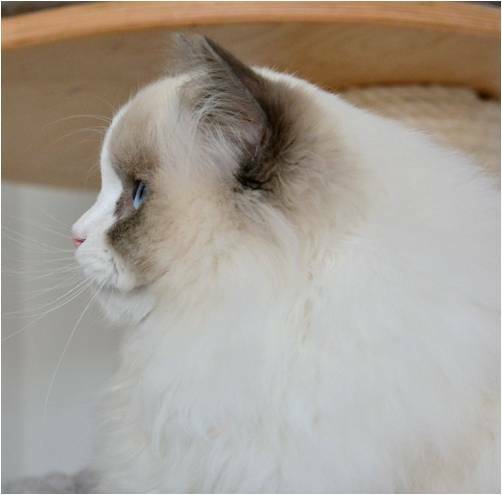 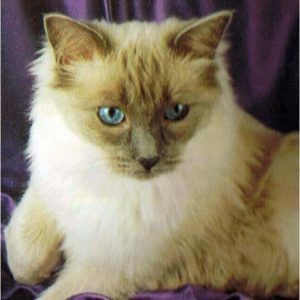 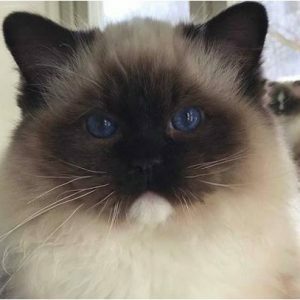 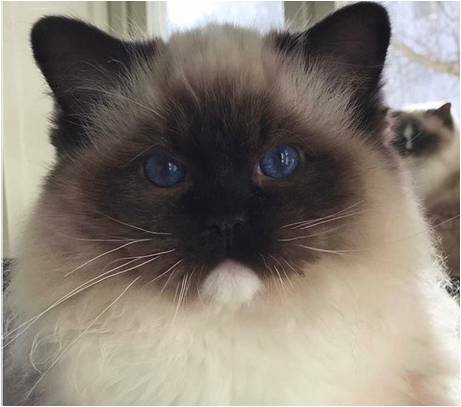 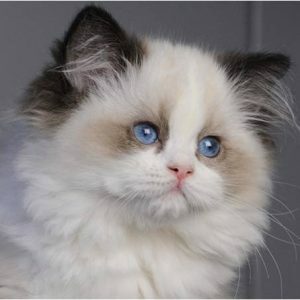 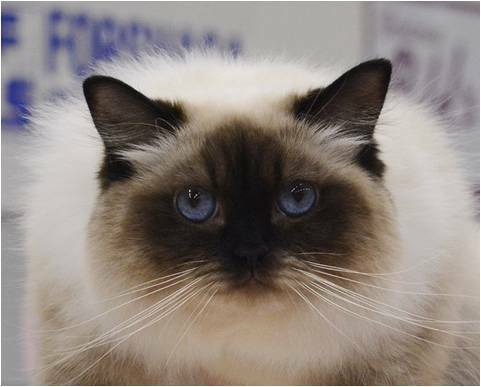 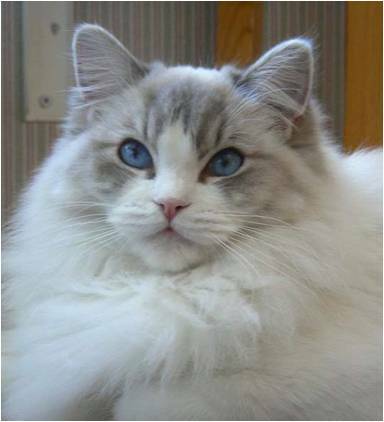 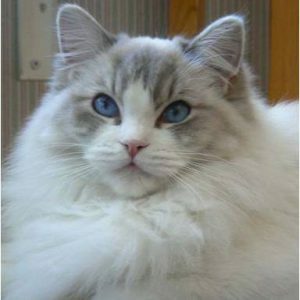 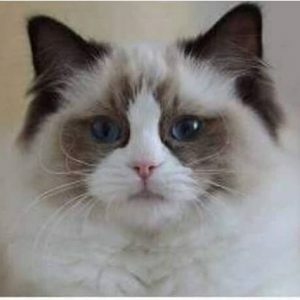 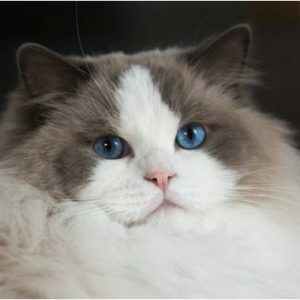 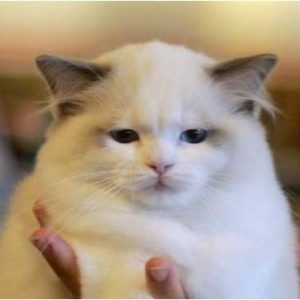 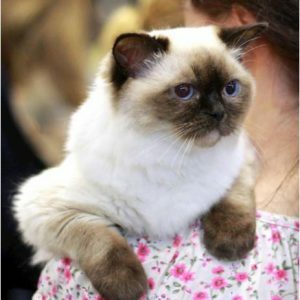 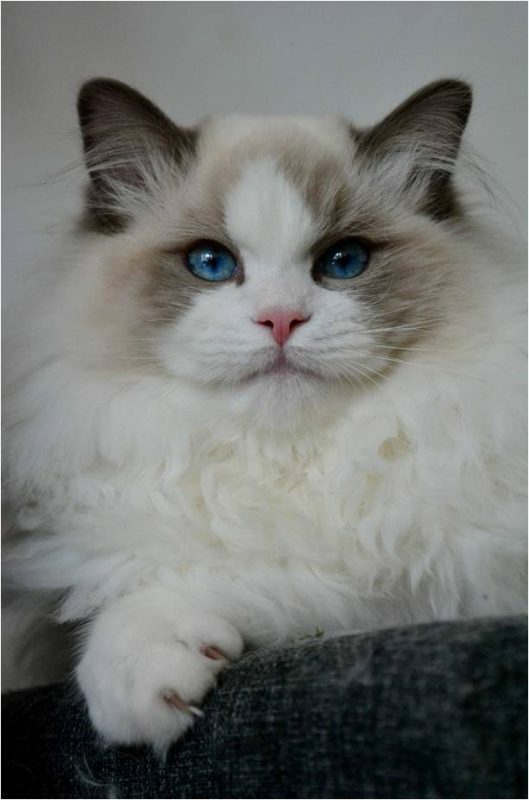 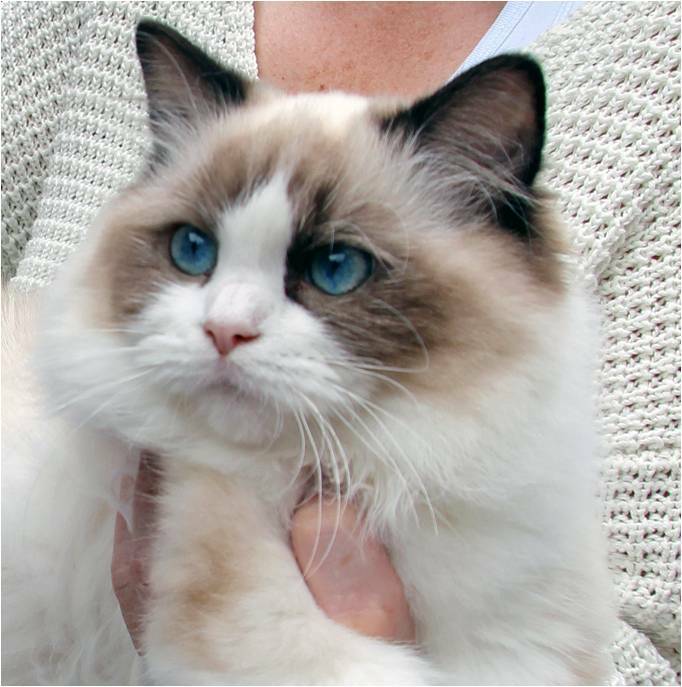 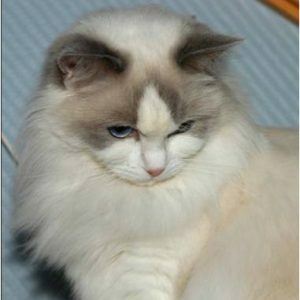 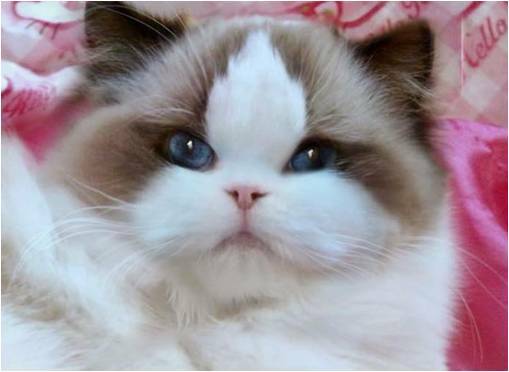 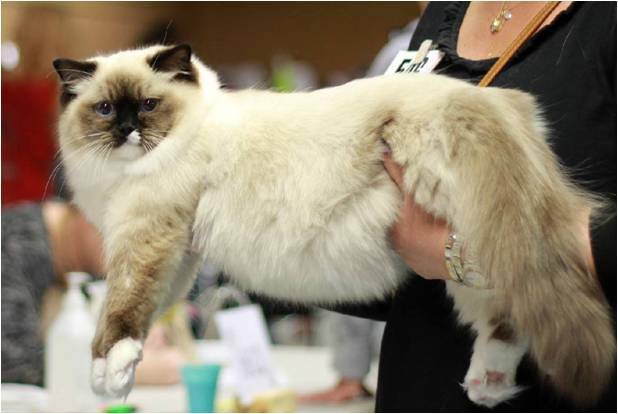 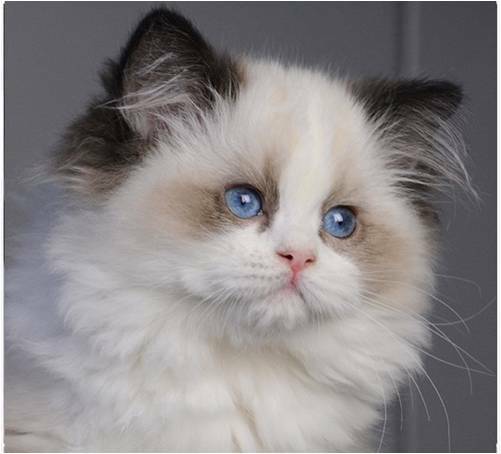 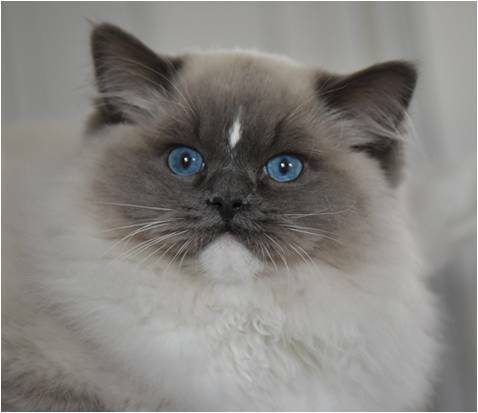 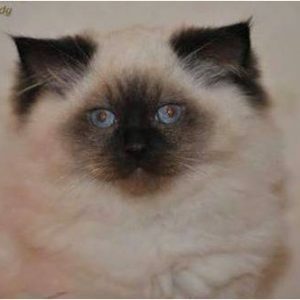 In Category 1 (FIFe) the ragdoll is joined by the Persians, Exotic shorthairs and Sacred Birman which all by standard should have smaller ears than the Ragdoll. 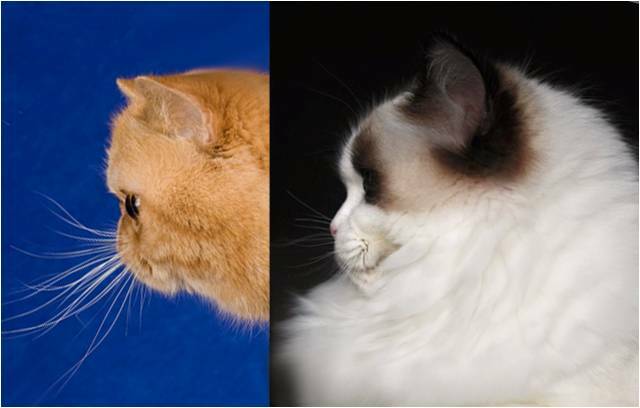 Three examples of 6 months old outgrown kittens with big ears – and as adults with broadness in the cheeks which gives the ears a correct size and placement. 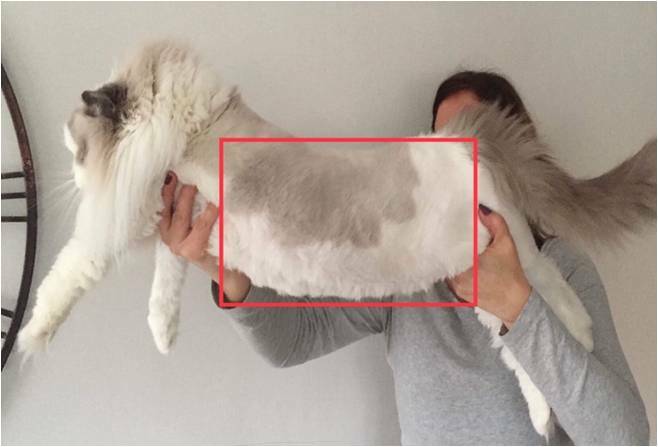 The first two cats on the picures below have cobby bodies, short legs and straight backs. 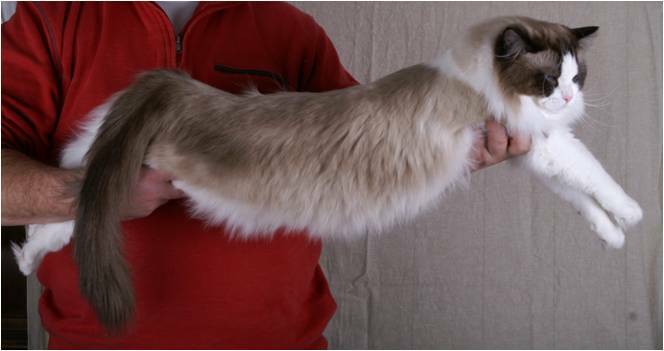 The cat below them have a long body, legs of medium lenght and have the correct relaxed and flobby body. 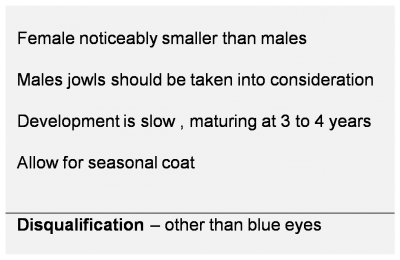 Incorrect, warm and wooly coat. 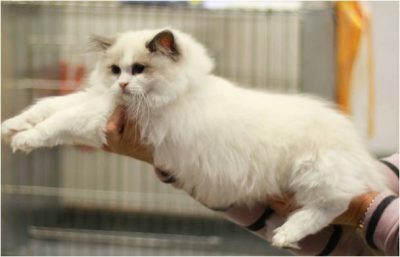 A young male correct in the standard. 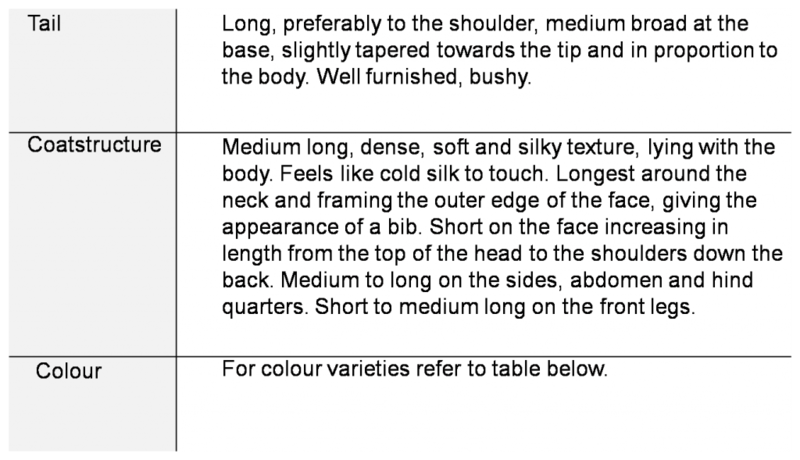 Correct body proportions and size with the right ”hang” in the body. 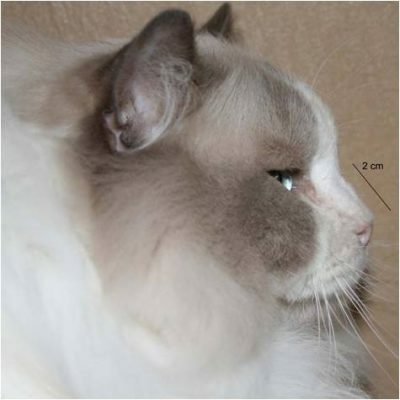 Medium sized ears, broad head, nice profile, forhead and chin with the righ RAG-look! 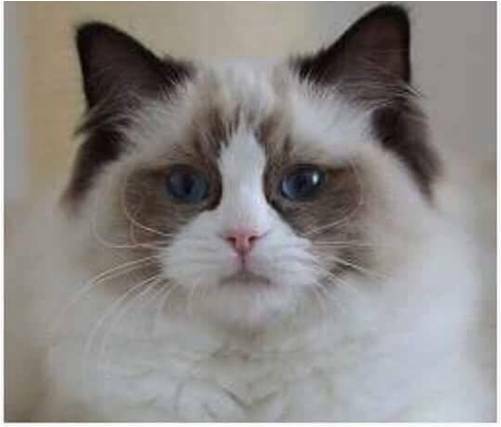 A young female correct in the standard. 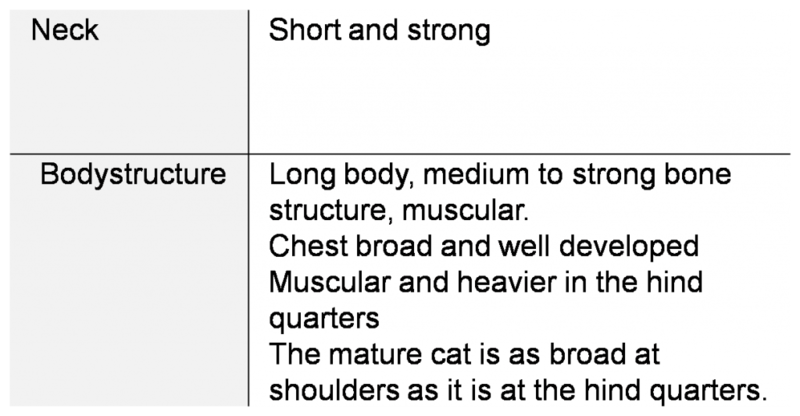 Correct body proportions and size with the right ”hang” in the body. 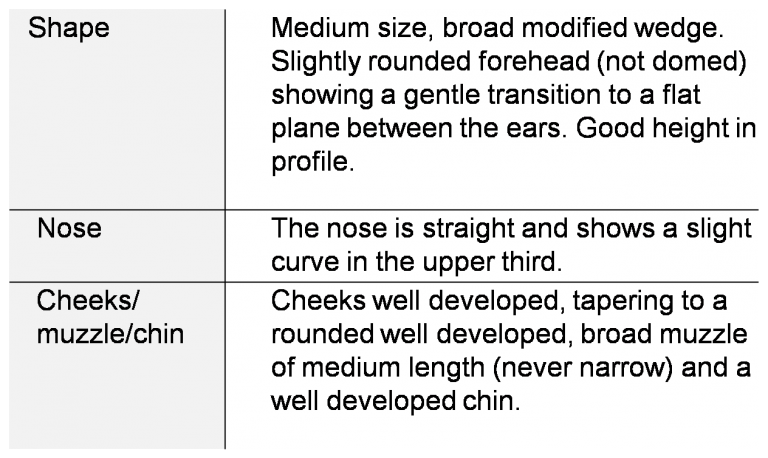 Medium sized ears, broad head, nice profile, forhead and chin with the righ RAG-look! 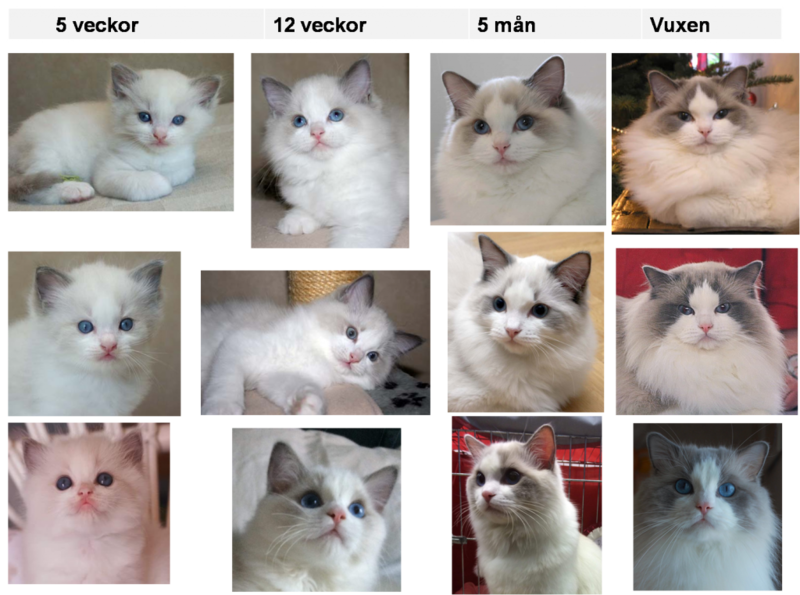 The development of three cats at the ages of 5 weeks, 12 weeks, 5 months and as adults.